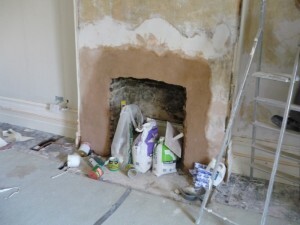 This was the third and final fireplace we installed for this great client in Wandsworth. They had recently completed their house renovation, undertaken by Qualitas Construction and Pure Maintenance. Both companies had done an incredible job on producing the most sophisticated and elegant house. 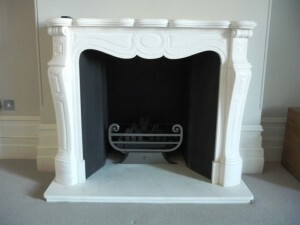 The client chose the Pompadour fireplace by Chesney’s for one of the bedrooms. 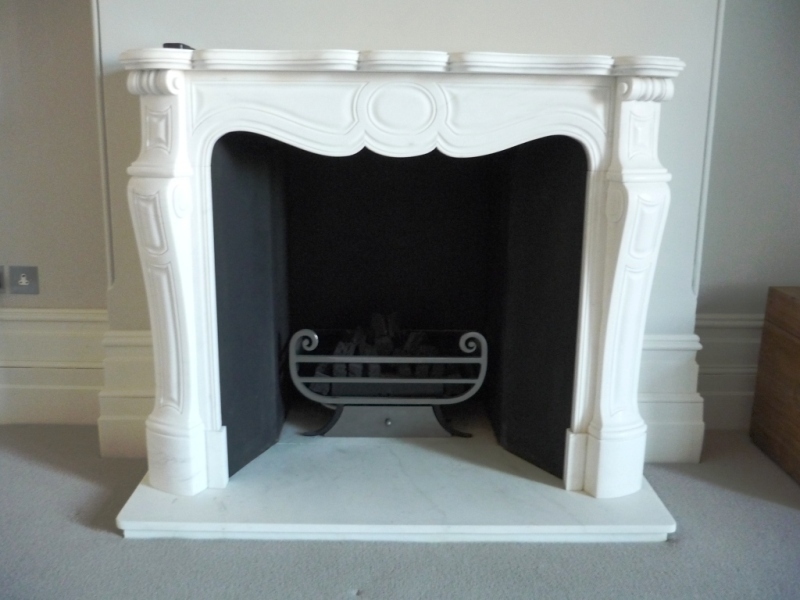 The Pompadour fireplace is a small French style marble chimneypiece of 18th century design. It has moulded panels to the frieze and jambs beneath a serpentine shelf. As this was a bedroom fireplace, we had to centralise it due to the offset nature of a first floor chimney. 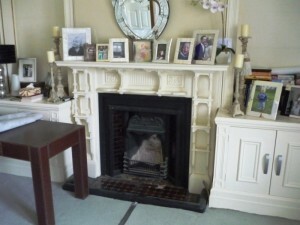 In addition, we installed a Tyndale basket also from Chesney’s completed with a remote controlled gas fire.